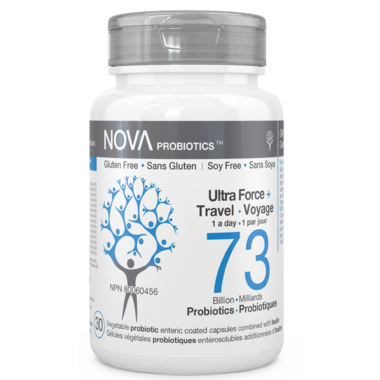 The Ultra-Strength & Travel formula has been designed to support gastrointestinal microflora balance before, during and after a trip away from home, counteract the negative effects of stress and help prevent Traveller’s Diarrhea (TD). Directions: BEFORE: Start taking 1 capsule daily 7 days prior to departure. DURING: Take 1 capsule daily, throughout the trip. You may also take 1-2 extra capsule(s) if needed. AFTER: Continue taking 1 capsule daily 7 days following return.